Flaring levels in the Bakken Region hit record highs in 2018. Throughout the year, operators called for increased government investment in methods of collecting, managing and storing excess natural gas. How can these processes be delivered in 2019? The most common way to transport gas is through a network of pipelines. However, gas needs to be treated before it is transported to remove excess substances that could damage pipes. Cleaning removes crystalline hydrates – a substance similar to wet compacted snow. The gas is dried as it is run through absorbents or by cooling the gas stream. Hydrogen sulphide and CO2 must also be removed from the gas before it is pumped into the pipe. Without processing plants in place to perform these treatments, excess natural gas is flared to prevent damage to pipelines. There are daily fluctuations in the demand for natural gas, but these can often be linked to a change in season. Winter is considered a peak season – where cities need large quantities for fuel and lighting. 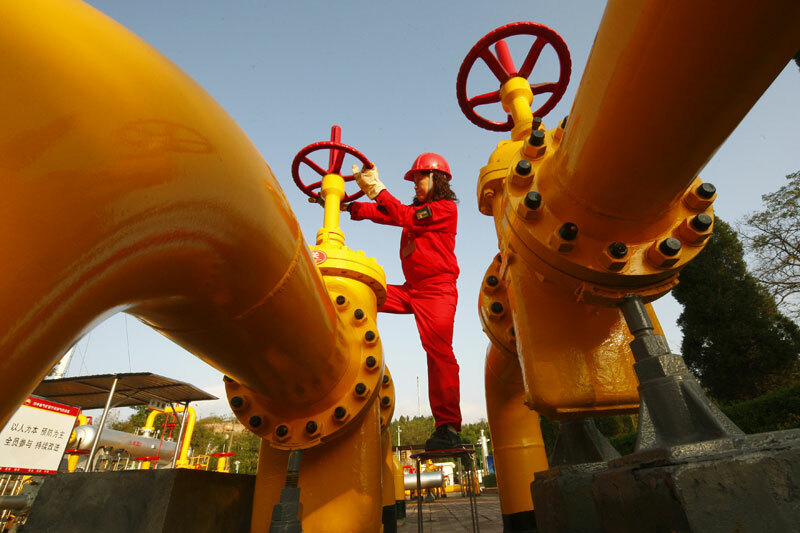 However in summer, natural gas needs to be stored for future use. Cooling natural gas is the easiest method of compressing and storing excess. This requires containment areas equipped to manage large stores – something the Bakken Region currently lacks. When stored, natural gas can be later heated for transportation or cooled to a liquefied state – becoming Liquefied Natural Gas (LNG). To transport LNG special tanks are needed to keep the gas cool at all times – this requires additional investment from the Bakken Region to make these tanks available. While gas flaring in the Bakken Region hit 527 million cubic feet per day in October, processing plants are coming online to help reduce flaring. The first of several processing plants is now active – part of more than $3 billion in investment activity expected in the coming year. The construction of four large-scale processing plants and new pipeline projects have been announced or initiated in the last 12 months, while extra gas is now expected to travel through the Northern Border Pipeline system. In the meantime; operators need to remain on top of flaring, effectively monitoring their flare gas output with accurate measuring tools. Fluenta’s FGM 160 Flare Gas Meter uses ultrasonic technology to provide accurate flare gas measurement, enabling operators to better track emissions data for clear and accurate reporting. For more information on Fluenta’s FGM 160 Flare Gas Meter, click here. Gas compressor stations: what and why? Fluenta’s vision is a world where any flow can be measured and monitored accurately in real time to drive improved decision making. Thanks to Fluenta’s research and development, accurate flow monitoring will is available to deploy across any pipe of almost any size that carries gas. We have a growing team of bright, energetic and innovative people and we are looking for more. If you think you have what it takes to become part of the Fluenta success story, please contact us here. To find out more about our team, please click here. Find out more about the Fluenta story and get in touch with us on our contact page.